We are manufacturing Secondary Cooling Belt Conveyor for Hi Pressure moulding line to handle moulds after pouring. 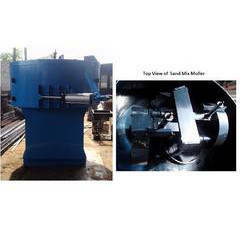 We also manufacturing Mould Handling Line to handle moulds coming out from machine, Jacket and weight transfer mechanism. 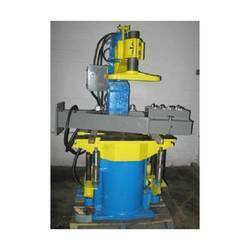 These machines are used in Hand Moulding Area. 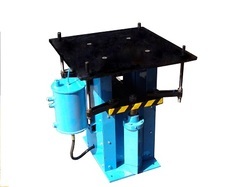 Mould Ramming done by Pneumatic Rammer to archive mould hardness and box lifting done by Lifting pin arrangement which is controlled by Hydro - Pneumatically operated cylinders. This Cast Iron Pallet Car is used to shift the mould from one place to other. 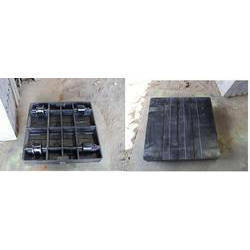 It is manufactured of several series of metallurgical wagons of different types. It has special size width and length can be made. 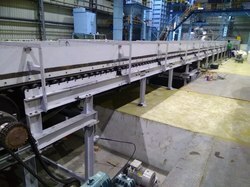 The Pallet car is used to transport molding flask in the molding line. The company produces and designs according to its drawings. We offer a good quality of Sand Mix Muller with wide range from 75 Kgs to 1000 Kgs. Looking for Mould Handling Equipment ?